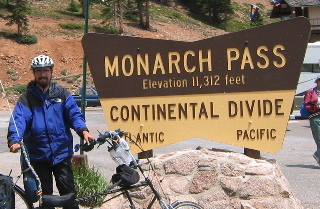 In the summer of 2003, I rode my bicycle across America. I departed from Boston, MA on June 10th and arrived in San Francisco, CA on August 9th. Day by Day breakdown. Including route information and journals for the trip. Photo Gallery. I like pictures. About the bike. Learn about my beloved Moose. Gear. An inventory of everything I brought with me.